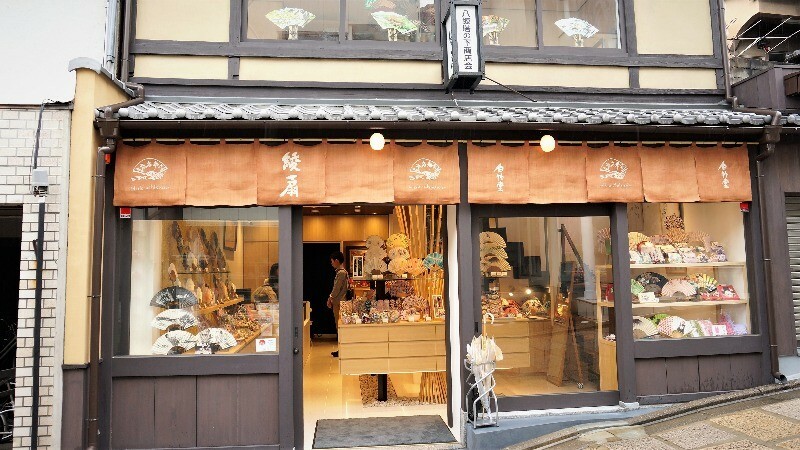 If the summers of Kyoto are too hot for you, take a look at this list of the five coolest shops here! Because Kyoto is located in a basin, the summers here are especially scorching, and you’ll be sweating in minutes if you’re outside. But this also means that this is a great chance to enjoy some ice cream in Kyoto! 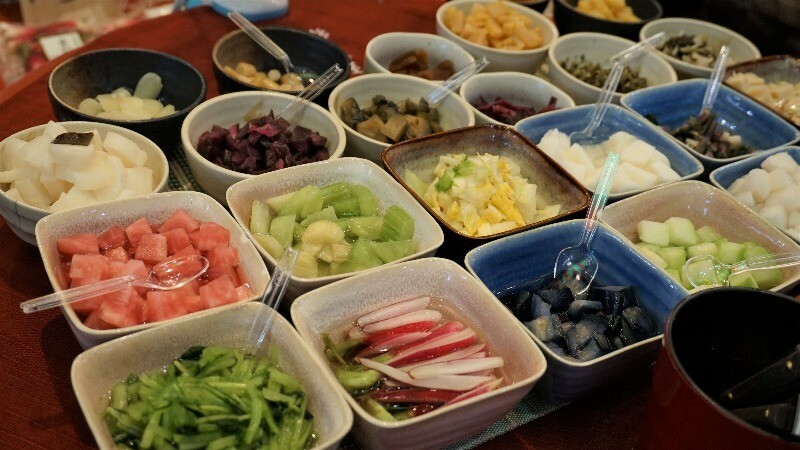 Another great way to get through a hot day is to have a cup of cold sake and enjoy it with some local tsukemono-pickles. Kyoto is also famous as the city of the geisha, so you can of course also buy folding fans here. So let’s take a look at these five refreshing shops! 1CACAO 365 - Gion Store Cacao 365 is a chocolate shop run by the famous Malebranche, a company everyone in Kyoto knows for its Cha no Ka matcha-cookies. As expected of a chocolate shop, they have a nice selection of all kinds of chocolates. 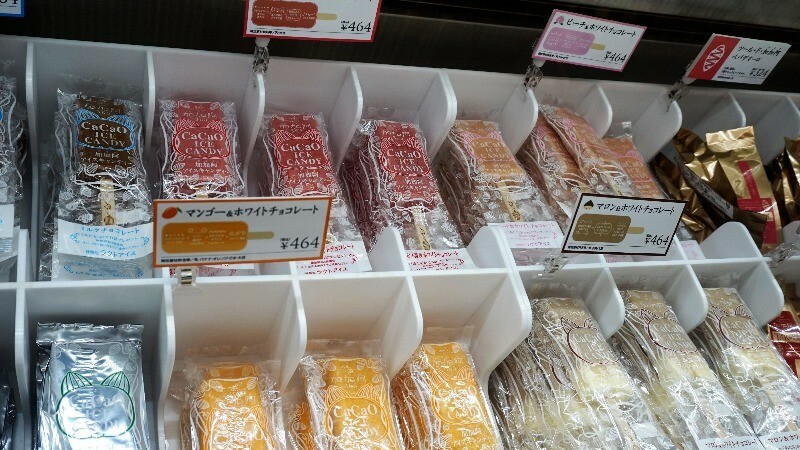 In summer they have some popsicles on sale too, with such tastes as matcha, mango, and chocolate, among others. The fruit and matcha popsicles actually also contain white chocolate, making the flavor very complex and tasty. So have a popsicle and enjoy the cityscape of Gion unfolding before your eyes! 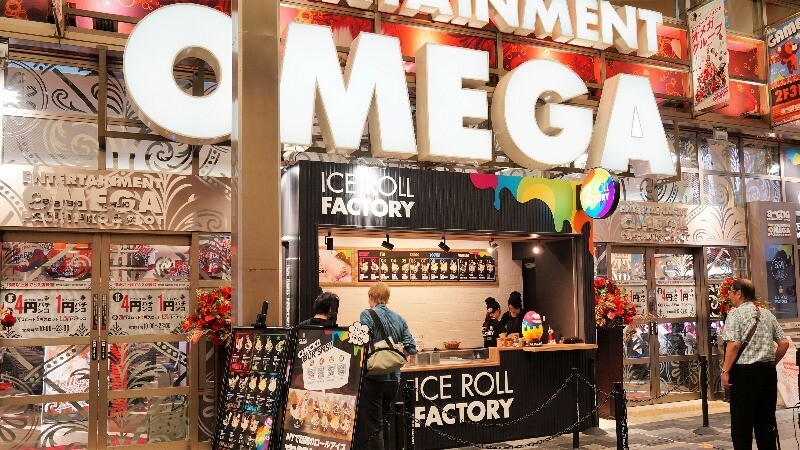 2Ice Roll Factory On the always-busy shopping street of Teramachi, you don’t have to worry about the sun in the arcade, and it will feel even more refreshing once you get some ice cream. As the weather gets hotter, the shopping street gets busier. Especially on the weekends, you need to be prepared to line up for your ice cream. 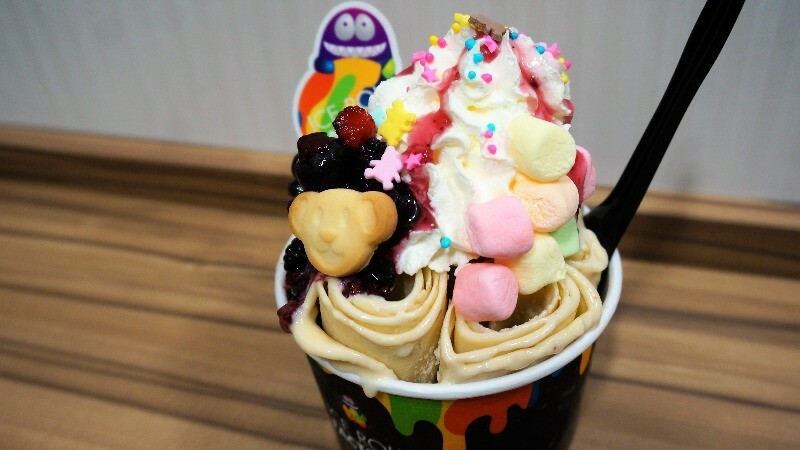 The ice cream here is rolled up on a cold plate, making these nice little rolls, which are then topped with things like jam and whipped cream. This is a great thing to have on a hot day, and you’re probably also going to get a nice amount of likes on Instagram with it! 3Sasaki Shuzo Co., Ltd. Sasaki Shuzo has a nice selection of sake from Kyoto. 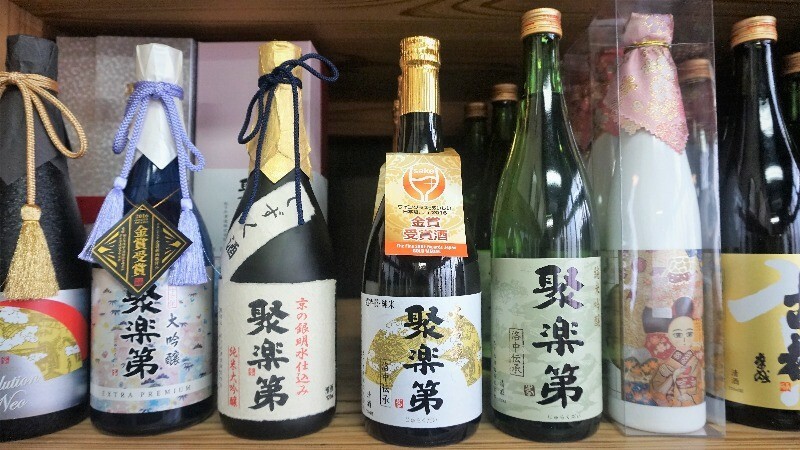 Sake helps bring out the tastes in Japanese cuisine; so if you like Japanese food, I recommend you get a bottle or two of it here! 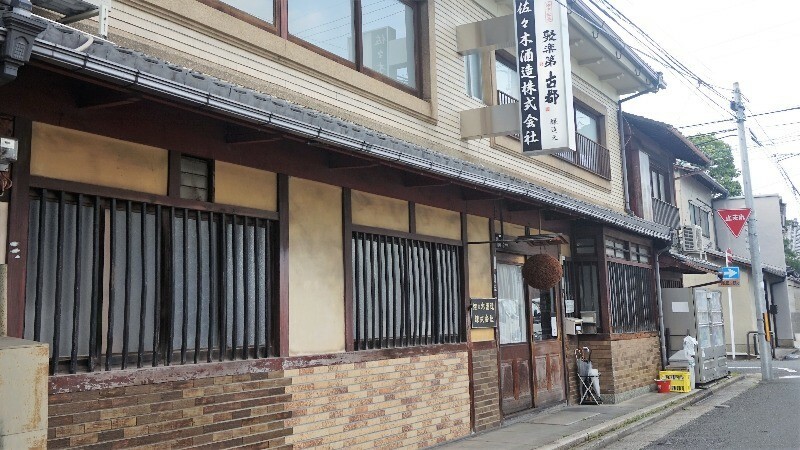 This shop is famous for its Jurakudai-sake. Its junmai daiginjo, the highest level of sake, version has a nice fruity flavor to it, and its taste is especially refreshing when drunk cold on a hot summer’s day. Even if you haven’t had sake before, I’m sure you’ll fall in love with Jurakudai! 4Tsukemono Nishiki Takakura-ya Tsukemono pickles are a big part of Japanese cuisine in Kyoto, and a great place to have them is at Tsukemono Nishiki Takakura-ya. The colorful tsukemono in front of the shop is also a feast on the eyes. Summer is a great time to eat pickled eggplant! You may have had eggplant as tempura or in Chinese cuisine in Kyoto, but as a pickle, it’s incredibly refreshing. 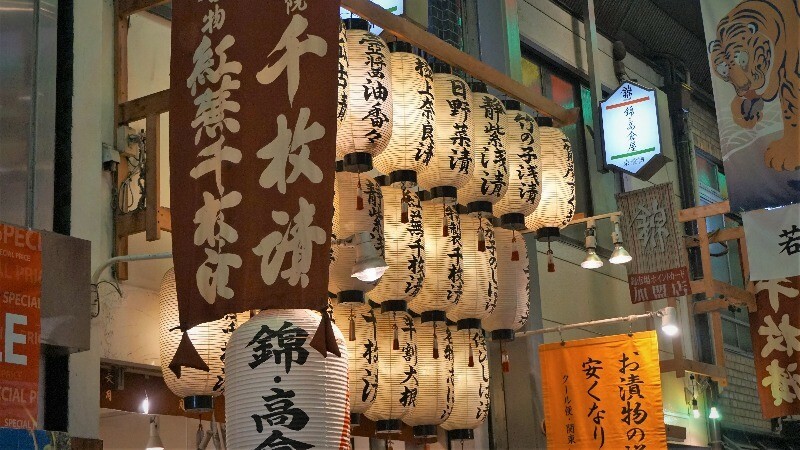 Have it with some Jurakudai-sake, and you are going to have a great time in Kyoto! 5Ryosen Yasaka Pagoda Before Yasaka Pagoda, you can find Ryosen, a folding fan store with over 300 years of history. 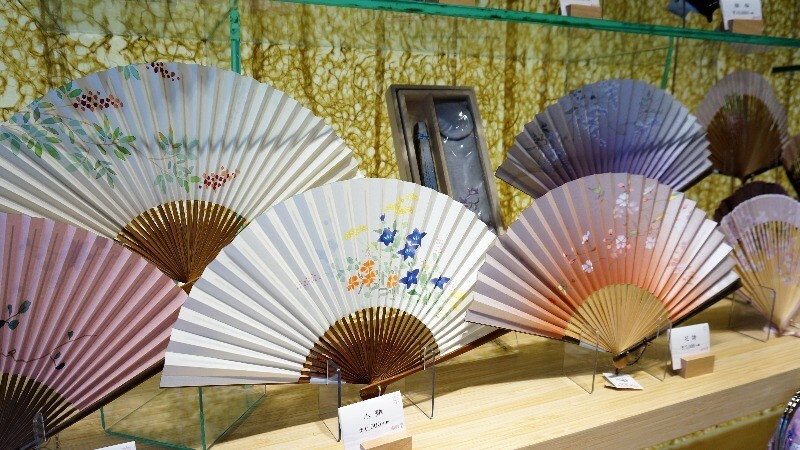 Their popular folding fans have seasonal floral motifs on them. It’s much easier to get by in summer if you have a folding fan; it really makes you feel cooler! Some of the folding fans have a fragrance to them so that you get to smell something every time you use them! You have to be prepared for the hotness of Kyoto in summer! 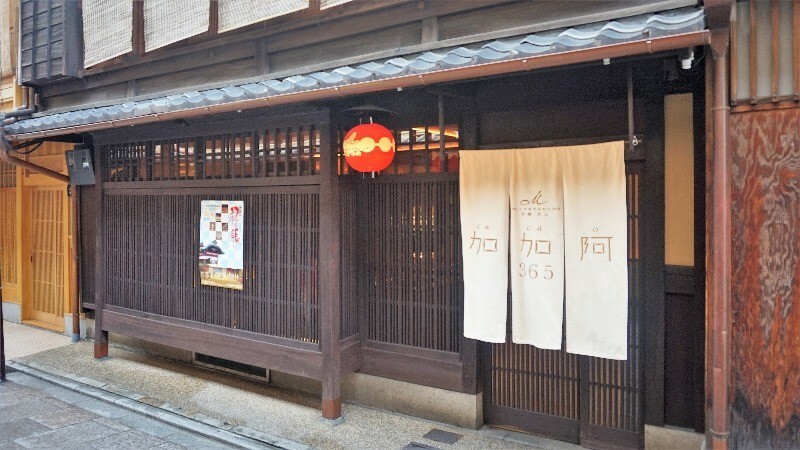 Remember to keep these shops in mind when sightseeing Kyoto in summer and you’ll have a good time here even if it is a bit hot. You can also take a break by the Kamo River; enjoy a popsicle, and the gusts of cool, refreshing wind. I’m sure you’re going to be having a lot of fun in Kyoto in summer!